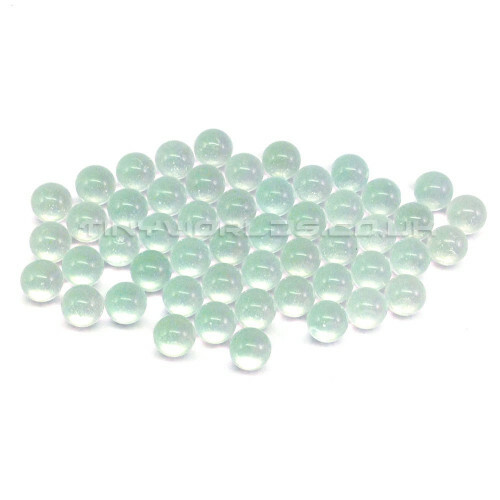 Pack of 50 6mm glass paint agitator balls supplied in a zip-lock bag. 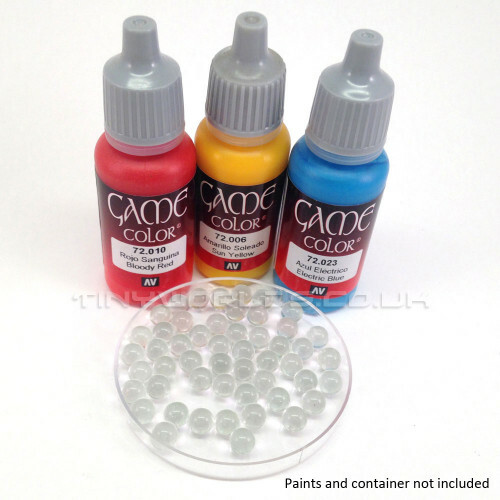 Add to your miniature and craft paints to ensure correct mixing. Reduces poor paint consistency and ensures better coverage. Will not corrode or contaminate paint unlike metal agitators. Fits all known miniature paints such as Citadel, Vallejo, Army Painter, Mig, AK Interactive or Reaper. Paints shown are not included and are shown for example. This is not a toy and not suitable for children.